For almost 8 years I have dreamed of seeing the wild beauty of Assynt in the north-west highlands of Scotland. So when the time came to plan some photography trips this summer there was only one place in my mind. 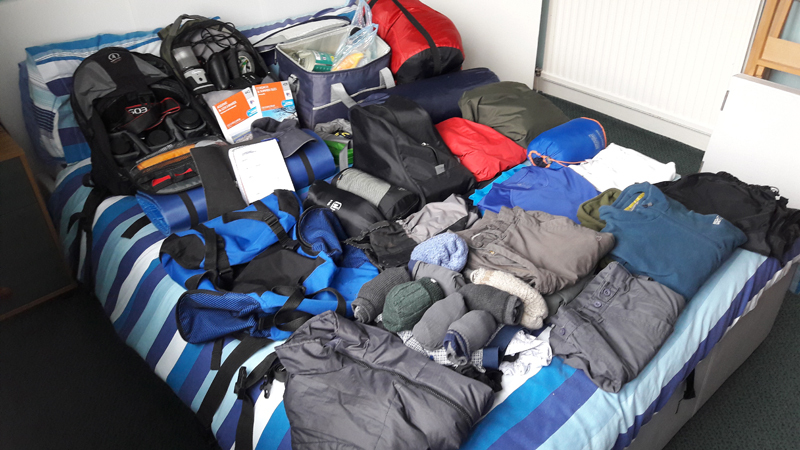 I was going to be wild camping for a week – something I've never done before. I had to figure out where to camp, what to eat, how to power all my equipment and more. 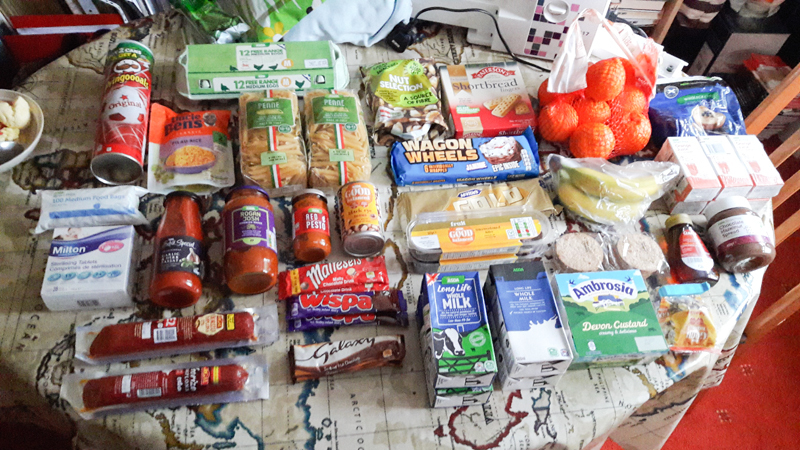 All of it made me nervous and doubt that I would be able to last the week. One thing was for sure - this would be my biggest adventure yet! When I started the mammoth journey up north, I was excited to be heading on a photography trip with a promising forecast for once. After 7 and a half hours I turned off the main road to find a spot to pitch my tent. I found a suitable spot and had my little camp set up by 5 o’clock. 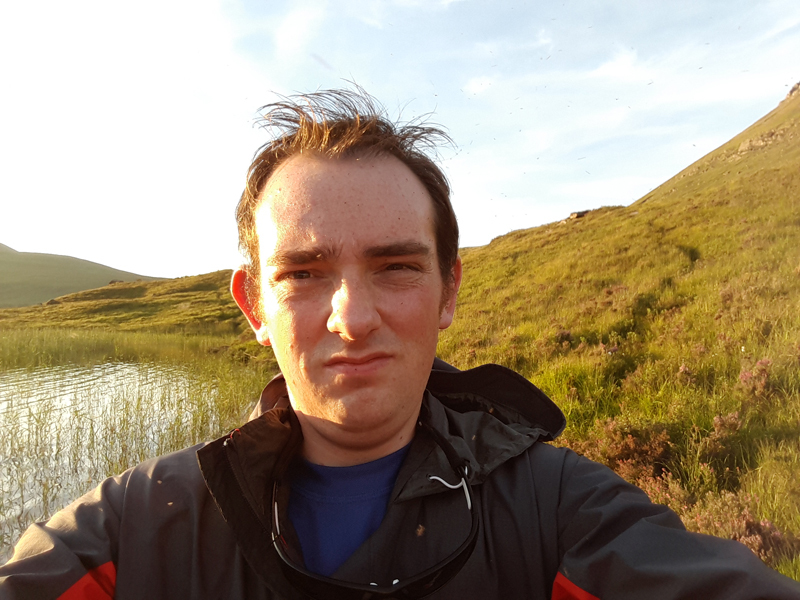 It was then that I had my first encounter with a swarm of Sutherland midges – but more on that later. As soon as I was settled and fed I went to locate a suitable place for photos in time for the sunset. I went to a small beach on Loch Lurgainn just 10 minutes from my camp, looking back up at Stac Pollaidh. It was perfect camping weather - sunny, warm and beautiful. But I was glad to see that some clouds gathering and conditions beginning to look pretty perfect for photos. Within minutes of finding a composition on the beach with the reeds in the foreground I found myself in the most vicious swarm of midges I’ve ever seen in my life. 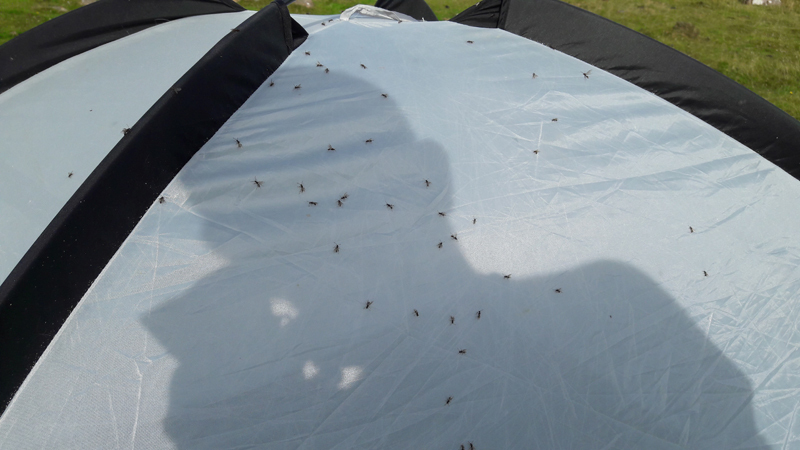 I considered myself to have experienced my fair share of midges on my travels, but I had yet to experience a Sutherland swarm. They started out by looking like the dust in sunbeams, but before long the cloud of beasties were thick and beginning to cause problems. They began crawling all over the front of my lens and filters and I could see them in my photos. I made the mistake of using my cloth to try and brush them off. All that did was smudge them all over my lens. I had to develop a technique of simultaneously blowing them off my camera while I made an exposure, whilst trying to avoid getting in the way of my own picture. I was now worried that they would be crawling inside my camera somehow… When they became unbearable I would run back and forth along the beach trying to avoid them, and once they caught up I would rush back to my camera, try to take a photo and retreat again. 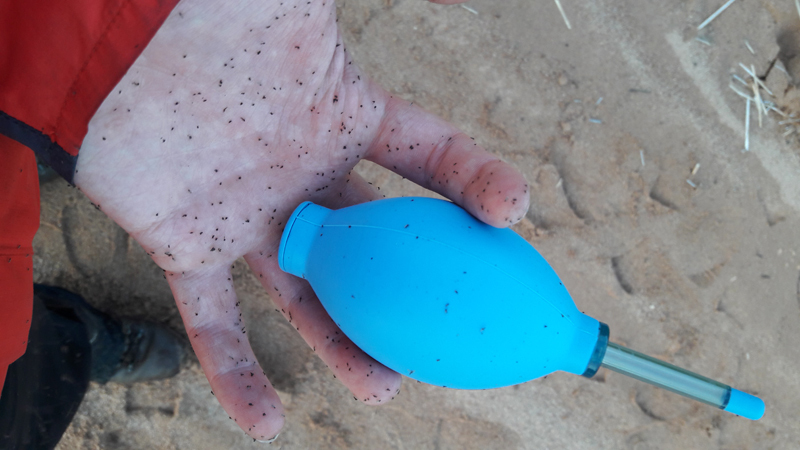 The midges were now all I could think about. I was annoyed at myself for not enjoying and appreciating what was turning out to be a truly amazing sunset. I hoped that I was doing enough to capture the best photo possible. The initial photos I had been taking were not turning out as special as I’d hoped, but I knew from my research that this image would be at its best just after sunset. To my relief, that was exactly the case. Shortly after the sun had disappeared, the sky lit up deep red. When it got dark I ran back to the car – quickly – feeling satisfied that my suffering had not gone unrewarded. I spent the rest of the evening taking cover in the car whilst polishing dead midges off my filters… I hoped desperately that the images hadn't been ruined. The next morning I drove 2 minutes along the road to the end of the loch where I was camping. I dozed in the car as I kept an eye on the sky in my mirror. The sky was a blank canvas of blue – the kind of sky you dream of waking up to on a camping trip, and the kind of sky I dread to see when I’m out for photos. As I feared, conditions were just too boring for photos. I went back to camp for a nap and some breakfast. I sat in the sunshine, admiring the view, picking midges out my tea. I spent the afternoon climbing up Stac Pollaidh in the scorching heat to scout out a sunrise shot of Suilven before going out Achnahaird Baywhere I went back to for the for the sunset. As it had been throughout the day, the sky remained clear blue and the sunset ended up lacking some of the colour and atmosphere I had hoped for. I started worrying as I knew the forecast was the same for the rest of the week. I went to bed that night a little unsatisfied with what I’ve managed to capture that day, desperate for a more fortunate morning - a sunrise up Stac Pollaidh. At 3am I I started trudging up the hill, armed with just my head torch. I made it to the top by 4:40am in plenty of time to see sunrise. I was excited to see an orange glow beginning to form behind the shapes of Suilven and Cul Mor, but again disappointed to see a lack of cloud to give me a bit of interest in the sky. I already knew I would be back up again the next day. I took a moment to rest and try to take in the scene before me. When I began to set up my camera I had to take special care over erecting my tripod as I knew I’d need to stitch together a panorama. When the sun rose over Cul Mor I spent an hour or so wandering around the summit taking photos of the amazing views and rock formations that made up the summit of Stac Pollaidh. The rest of the day I spent going further north to find Stoer lighthouse before trying for another sunset at Achnahaird. Unfortunately, the sun was lost early on in the evening in cloud that hung off the coast and I didn't even take any photos at all. What made it worth while was that I was able to watch a small pod of dolphins in the distance. 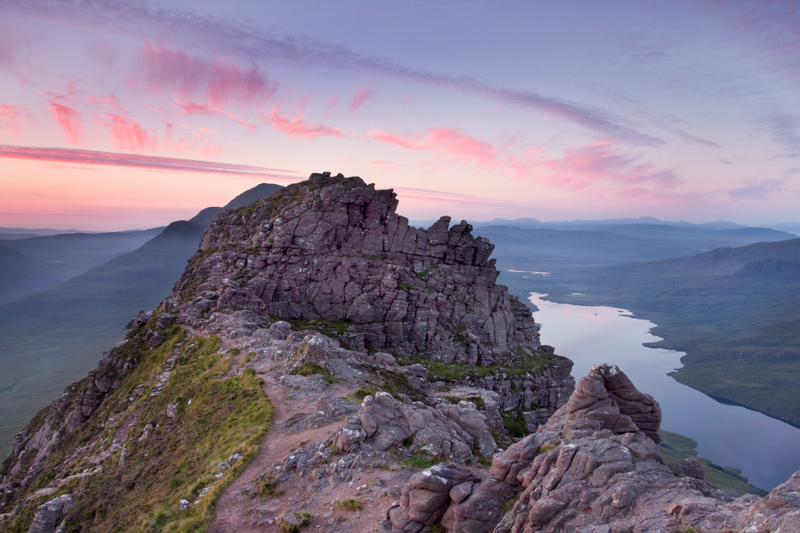 I turned in early for the night in preparation for another early morning hike up Stac Pollaidh. Once again I donned my head torch and camera bag and hoped for a spectacular sunrise when I reached the top. This time a few small strips of cloud broke up in the north and things looked more promising. I spent another couple of hours on the summit and the shots turned out far better. But it still wasn’t the shot I’d dreamed of. That day I slept till almost 12. I guess the early mornings, fresh air and exercise were taking their toll. After a pit stop in Ullapool to restock some essential supplies I drove back up to Stoer. When I got there the sun in behind the cloud but I could see that it would emerge again before it set. I knew this one would be worth sticking around for! The sun did eventually break out of the cloud for a brief while and lit up the cliffs reaching down to the sea. Even though there was some great light and I knew I was getting some good shots, I felt ready to come home. This week was always going to be an experiment and I didn't know how long I would last in a tent by myself. A third morning up Stac Pollaidh proved to be the toughest yet. It took a lot longer to reach the top and once I got there I could see that the cloud which had been forecast was no where to be seen. The wind had really picked up and I was freezing standing around on the top of the mountain. I gave up early and walked back down. Even the walk down was exhausting. It was now my last day and I was unsure where I wanted to shoot. The wind felt like gale force now and I though that Stoer and Achnahaird would look great with some huge crashing waves. In the meantime I went to find a waterfall that I’d read about in my research. Conditions were perfect for shooting waterfalls. It was overcast and dull enough to get a slow shutter speed to capture the movement of the water. In the evening it rained and I decided to get an early night before the long journey home. It was a rough night. The wind was strong and I barely slept. My alarm was set to get my up for a last potential sunrise but it was still raining and blowing a gale - I made bravely elected to stay in bed. 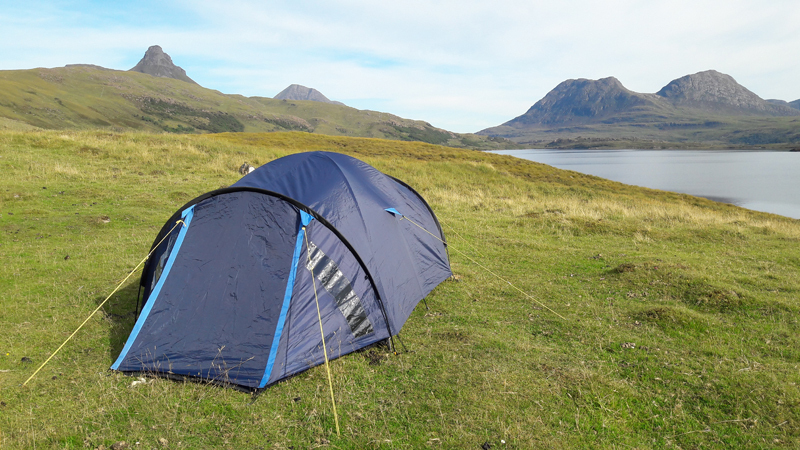 Fortunately the wind had died down and I was able to pack up the tent with relative ease. I left my camping spot at half 9 that morning and arrived home at 4 o’clock that afternoon. I went for a shower. It was an memorable week. I survived. I enjoyed it. I can’t honestly say I got all the shots I wanted, or that I was happy with every one I’d been able to take. By as my girlfriend wisely pointed out – this certainly won't be the last time I explore the wilds of the Highlands. I think that perfectly describes the experiences I’ve had over the past few months, but I still haven’t decided which I prefer.